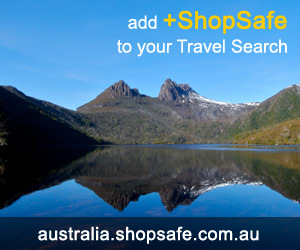 There are 10 shops in the ShopSafe USA Kitchenware Shopping Category. Chefs also offers bakeware, cookware, cutlery, dinnerware, furniture, kitchen electrics, specialty foods, and more. Over 90,000 products for your kitchen, 10,000 recipes, and a growing community of cooks and food lovers. A terrific site with a great product range at great prices plus tools to help you make informed purchases, such as customer reviews, demonstration videos and buying guides. Leading brand name faucets and accessories for the bathroom and kitchen, as well as a range of lighting and fixture products. eFaucets stock products from popular brands such as Moen, Koehler, Delta, American Standard, Price Pfister and more. ShortOrder.com specializes in selling restaurant equipment. Categories inlcude: Ice Machines, Refrigeration, Cooking, Prep/Work Table, Sinks, Bar Equipment plus loads more. Shop for the latest cooking appliances, air conditioners, outdoor living products, Refrigerators, Washers and Dryers, Dishwashers, Food Disposals from trusted brands including GE, Frigidaire, Whirlpool, KitchenAid, Maytag and more. The latest in design fashion and trends of European glassware, home decorating and inspiration for European style and modern living. An impressive selection of kitchen articles, from the most common to the most hard-to-find. The range extends from cooking appliances to storage units, as well as cutlery, dishes, kitchen decoration and more. All else failed? Let us help. If you want to see more Kitchenware here, please e-mail kitchenware@shopsafe.cc. Please do not change the subject line of your email. If the subject line does not contain "Add to ShopSafe Online Shopping" it will not be read.